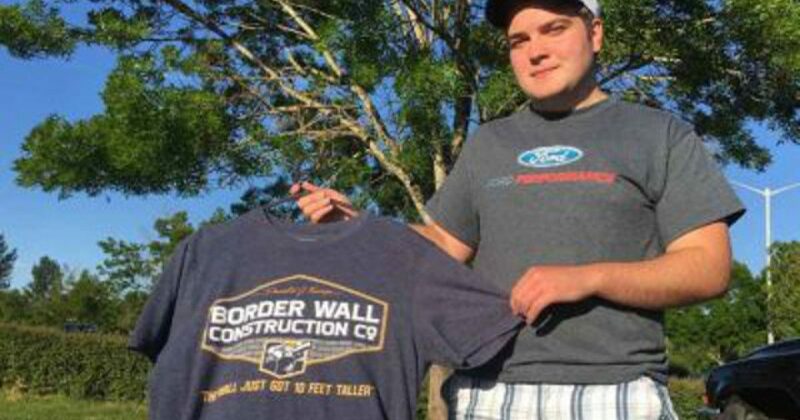 A student attending an Oregon high school was told he could not wear a t-shirt to class with the words “Border Wall Construction Co.” on it because it was “anti-illegal immigration,” but a federal judge just slapped that down with a vengeance. Perhaps there’s still some folks in the judicial system who still believe in the Bill of Rights and the freedom of speech after all? Mosman continued to literally lay down the law, stating that while the school has the right to be concerned about how other students may respond to the shirt, the “thin” court record offered very little support that this particular shirt would cause any substantial disruption during school hours. “There’s not enough to go on here to show that sort of legitimate concern justifying censorship of this core political speech,” Mosman said. This is excellent news, both for Barnes and other American students who want to express their political ideas without the fear of school interference. After all, since schools are funded and overseen by the federal government, they technically are bound to uphold the Constitution and not infringe on a student’s freedom of speech. Let’s hope Barnes’ boldness and willingness to stand up for what he believes in rubs off on other students across America.